Korea Aerospace Industries (KAI) has begun the development of an improved variant of the FA-50 Golden Eagle, with enhanced air-to-ground capabilities. Known as the FA-50 Block 10, the upgraded batch will integrate the Lockheed Martin AN/AAQ-33 Sniper targeting pod, allowing the aircraft to self-designate and deploy laser-guided munitions. A KAI senior manager told AIN in an exclusive interview that work started in October 2018 and that the project aims to be completed no later than 2021. He added that current FA-50 users can still benefit from the software upgrade and that no physical modifications are to be made to the aircraft. “Our current priority is to promote the Block 10 to a Southeast Asian FA-50/T-50 user who is looking for more jets,” the manager said. He added that KAI has conducted a workshop with the said air force and found it is keen to enhance the air-to-ground capability of its FA-50s. Currently, the Golden Eagle is flown in the region by the Philippines, Indonesia and Thailand, with only Manila employing the fighter/attack variant. The KAI official added that a number of these users also have ongoing programs to procure more advanced fighters such as the F-16 or Saab Gripen, and KAI hopes that, with these upgrades to the FA-50, the company can penetrate these markets by offering them more aircraft at a lower cost per unit. KAI estimates that the Southeast Asian market could have an appetite for 60 more Golden Eagles, including options. This would consist of potential follow-on orders, as well as the Malaysian Light Combat Aircraft program. 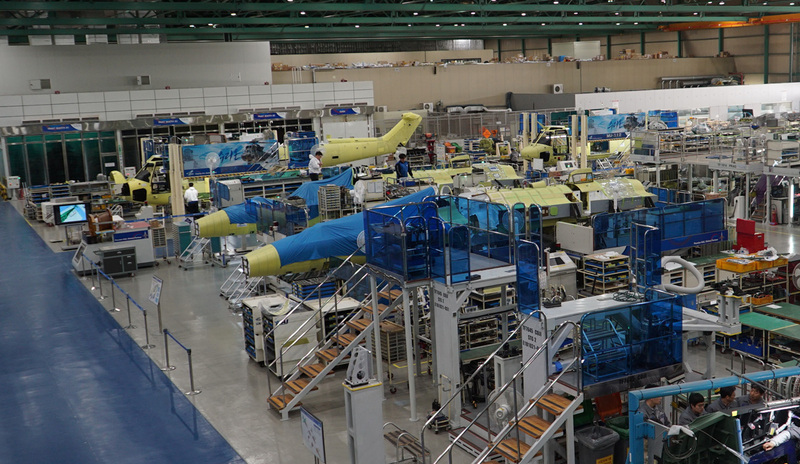 The Korean manufacturer received the Request for Information from Malaysia on January 5, and AIN understands that it is seeking 12 aircraft with an option for 24 more. The KAI manager said that he expects a more detailed RFI to be issued in the near future, after Malaysia has a clearer picture of its requirement based on the first RFI. The manager also revealed that an FA-50 Block 20 is in the works, and development will begin starting this year. Block 20 will give the FA-50 the capability to conduct beyond-visual-range air-to-air missions, carrying munitions such as the AIM-120 AMRAAM. As with the Block 10, there is no requirement to modify the radar of the FA-50. The next step is to study how to increase the power of the radar and extend its detection range.